More than enough, the latest statistical evidence suggests, to warrant a full-fledged federal search. A new banking law in effect this month could start that search in the right direction. 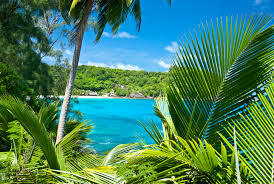 Tax havens like the Seychelles Islands are helping our super rich annually evade hundreds of billions in taxes. We’re living in a world where taxes on our wealthy can only be collected if these wealthy self-declare their income. About 80 percent of offshore wealth goes undeclared to tax authorities.